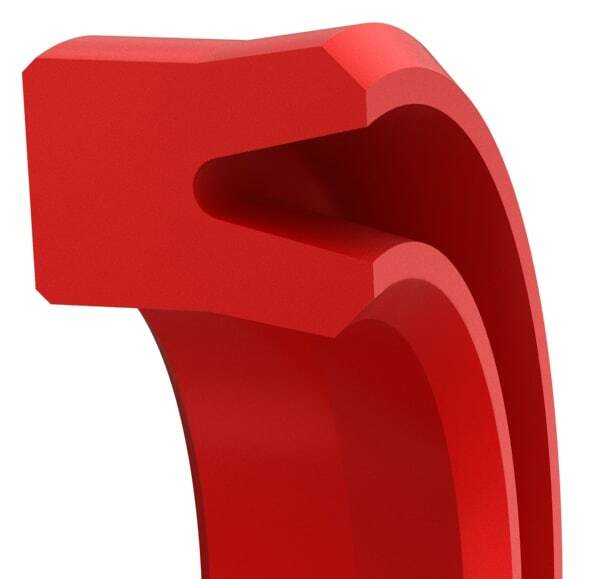 Uni-directional, single-acting with beveled lip design for maximum fluid sealing ability, for use as either rod or piston seal in light- to medium-duty hydraulic applications. Economical hydraulic seal. Size Table (Inch)Standard range sizes listed below are preferred sizes for new design applications. 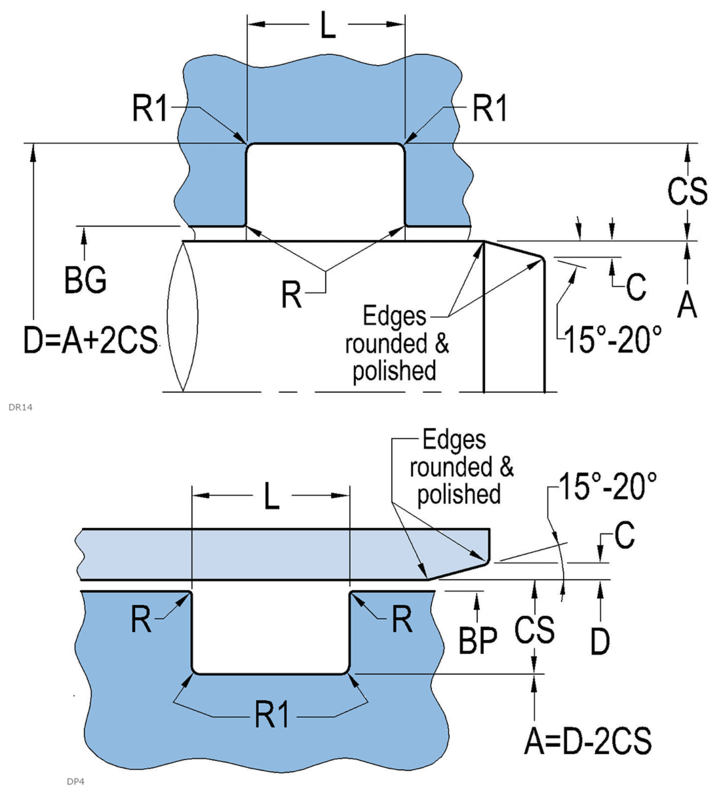 Seals are available for any shaft diameter size in 0.001 inch increments, including functional range and optional groove width. Additionally we offer any other seal size as required. A, BP D, BG BP= BG= Tol.+0.010/-0 Tol.+0.010/-0 min. max. max. * Based on using wear rings. Surface finish: dynamic Ra 4-12µin – Static Ra max. 32µin. See Technical Info for more specific information. Size Table (Metric)Standard range sizes listed below are preferred sizes for new design applications. Seals are available for any shaft diameter size in 0.01 mm increments, including functional range and optional groove width. Additionally we offer any other seal size as required. BP= BG= Tol.+0.3/-0 Tol.+0.3/-0 min. max. max. * Based on using wear rings. Surface finish: dynamic Ra 0.1-0.3µm – Static Ra max. 0.8µm. See Technical Info for more specific information.